Hi guys, during my cheat day of rest day usually during Saturday, I usually cook some of my favourite unhealthy dish😂 after 1 whole week of clean diet. 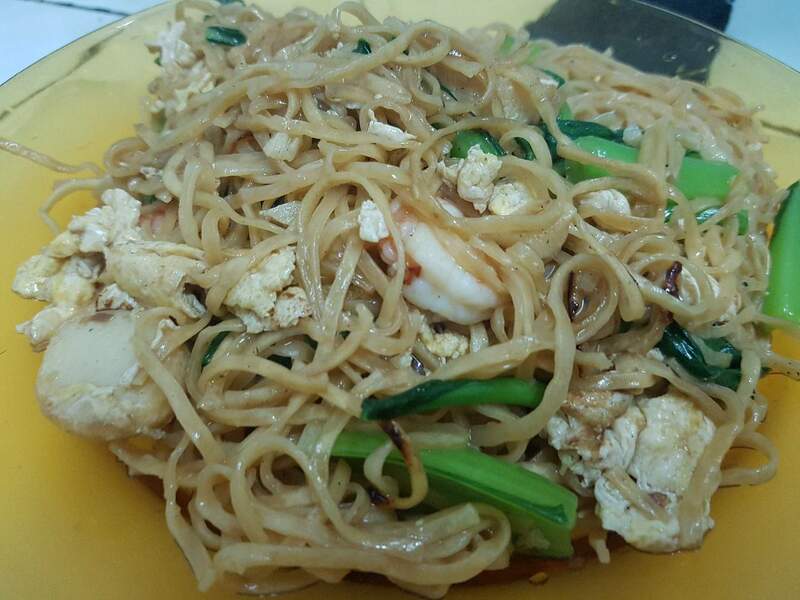 So today I want to share my recipe on how to cook a local Chinese noodle called Tuaran Mee. There are two types of method which is the dry and wet method, and I am cooking the wet version. 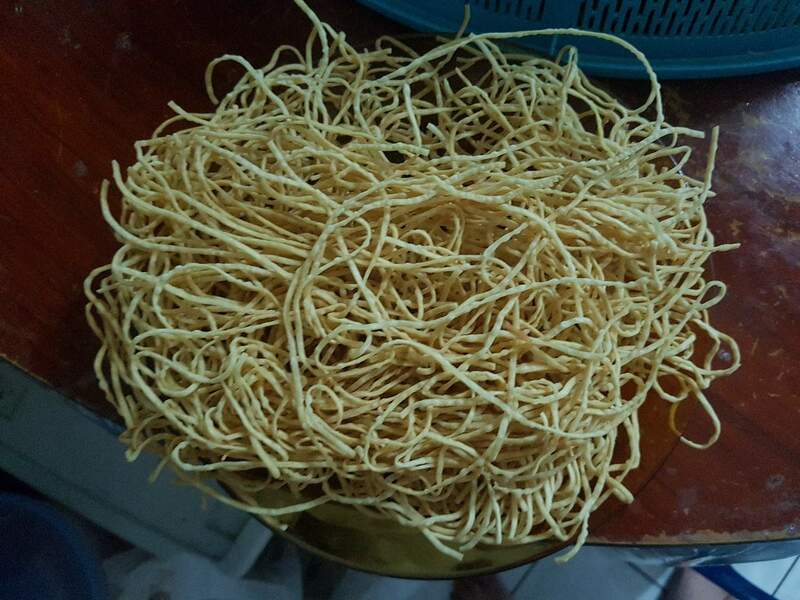 This is a signature noodle in my hometown in Sabah, Malaysia. 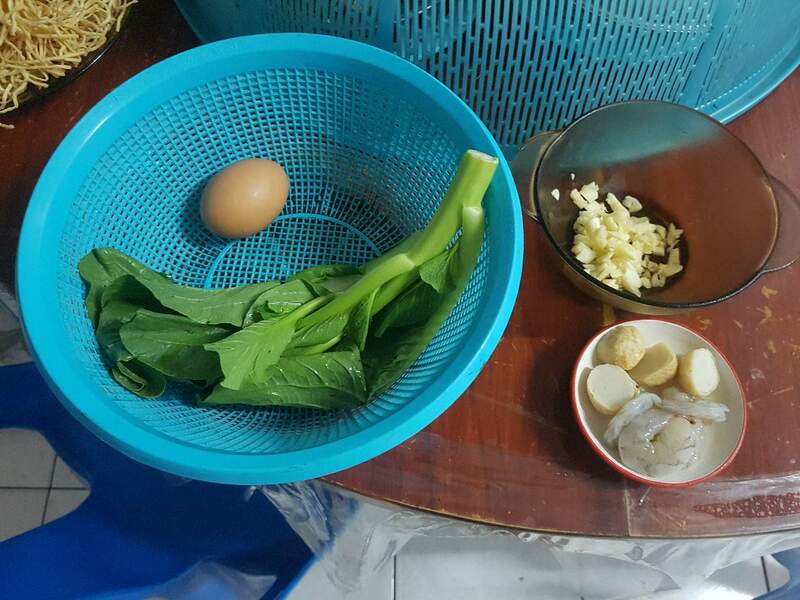 All the ingredients can be easily found at the local fresh market of supermarket. 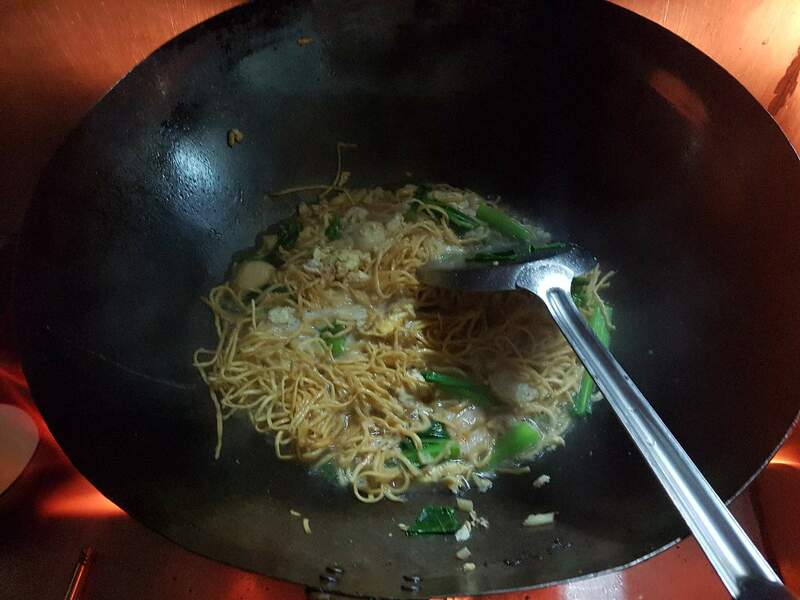 step 1 Deep fried the egg noodle with 300ml of cooking oil and strain it with moderate heat for roughly 1 minute. step 2 Clear the wok and pour 3 table spoon of cooking oil (but not olive oil) in the wok with moderate heat, the put the garlic, prawn and fish ball inside the wok and stir fried. Then add in egg and the sayur sawi. step 3 Turn the heat valve to maximum and add in the 250ml of water and let it boil. 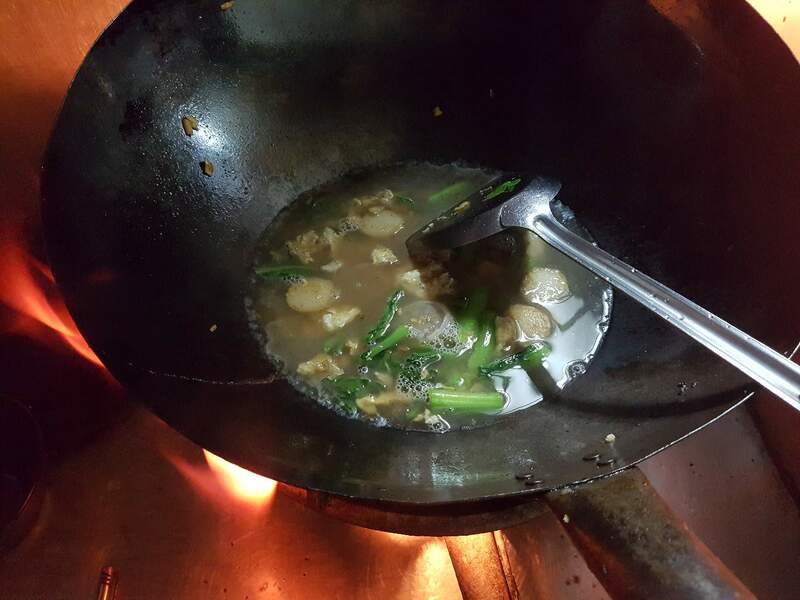 During the boiling period, add in the noodle and let it to absorb all the water. While boiling, add 4 table spoon of light soy sauce and few pinches of pepper. step 4 After the water is completely evaporated, turn off the heat and the noodle is ready to be served. We can add chili padi as condiment to add some extra spicy in the noodle. 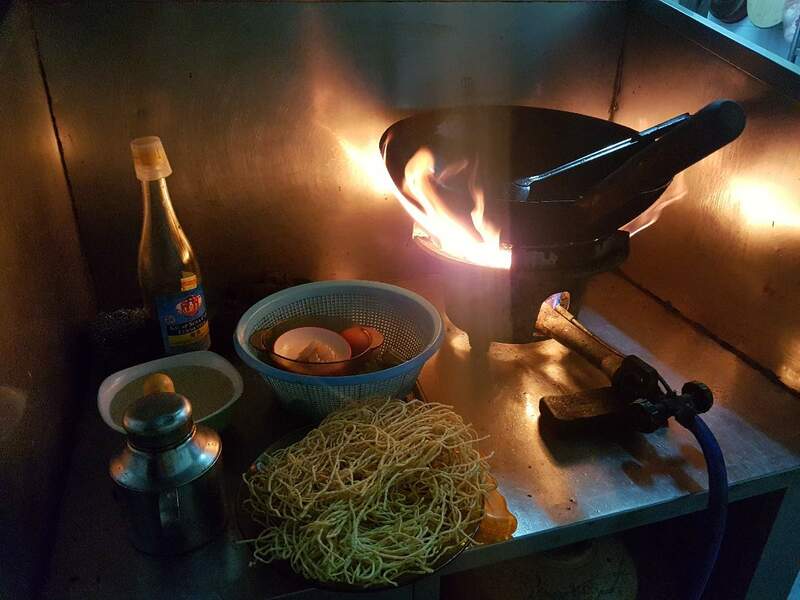 Drinking alot of water after enyoying this dish is recommended due to the heaty element of this style of cooking in extremely high heat. This dish is for 1 serving and it whole be around 1000 calories, and enjoy!! !